Airline stocks continued to hog the limelight for the second consecutive day on the back of reports about the planned merger of Jet Airways and Air Sahara finally taking a crash landing. Giving clear signals that the UPA would not cow down to the pressures from the Left parties, the Manmohan Singh government put the reform agenda back on track by deciding to disinvest 10 per cent of its stake in the profit-making Nalco and Neyveli Lignite Corporation Ltd (NLC). A year after signing of MoU with South Korean steel maker Posco, the Orissa Government has assured the company of about 1,135 acres of objection-free government land for its proposed 12 million tonne steel project near Paradip. The Jagatsinghpur District Magistrate has sanctioned 1,135 acres of government land in favour of the state-owned Infrastructure Development Corporation of Orissa Ltd. The IAF has stymied a proposal to build a new airport at Pune on the grounds that its proposed flight path would interfere with defence flights. The Maharashtra Government was keen on developing Chakan airport as a civilian facility following Pune’s burgeoning growth as an IT and educational destination. The Union Cabinet has decided to refer the proposals of the ad hoc Group headed by Arjun Sengupta for granting greater functional autonomy to Central Public Sector Enterprises (CPSEs) to the Group of Ministers (GoM). Mittal Steel, which has been seeking to buy Arcelor for almost five months, needs to increase its offer a second time to convince the Luxembourg-based steelmaker's Board to recommend it, ING Group said. Law has been amended empowering the RBI to exercise flexibility in setting the cash reserve ratio (CRR)— a statutory reserve requirement banks are expected to fulfil, it was announced today. Nokia said it would stop making phones using the CDMA standard and had scrapped plans to produce them with Japan’s Sanyo Electric Co. In an attempt to capture a lion's share of juice market in India, Seabuckthorn Indage Limited (SIL) is setting up a world-class winery and R&D facility at Himachal Pradesh. Velcan, a leading French energy company, is keen to set up hydroelectric projects in Himachal Pradesh. Gold and silver closed to a firm trend on strong advice from global markets along with some heavy speculative demand, traders at the Bombay Bullion Association said today. Airline stocks soared further high in the intra-day trade adding to yesterday’s robust gains, as further reports flowed in about Jet and Air Sahara parting ways from their planned merger deal. However, Jet Airways and Deccan Aviation failed to hold onto their intra-day gains and closed marginally in the red on the back of profit booking at higher levels towards the end of the trading session. Jet Airways had jumped nearly 10 per cent in the intra-day trade. In contrast, low-cost air carrier SpiceJet witnessed continued buying support from bargain hunters for the second consecutive day and settled 10.53 per cent higher at Rs 47.25. Jet Airways closed 0.19 per cent down at Rs 704.35, after hitting an intra-day high of Rs 770. The stock had moved up more than 5 per cent yesterday. Newly listed Deccan Aviation, which operates the budget airline Air Deccan, also slipped into the red after paring all its intra-day gains. The stock shed 0.28 per cent to Rs 89.75. Deccan has managed to close with gains only in two trading sessions so far ever since it made a disappointing debut on the stock market on June 12. The stock is currently trading nearly 40 per cent below its issue price of Rs 148 per share. Jagson Airlines rose 1.64 per cent to Rs 27.85, while extending its upward rally for the second day in a row. "The Cabinet Committee on Economic Affairs today cleared two proposals to sell small portion of government equity in non-navratnas. It has been decided to sell 10 per cent stake in Nalco and Neyveli Lignite Corporation," Finance Minister P Chidambaram told reporters. "We are not touching the navratna companies and the disinvestment in a few non-navratnas is a continuation of the earlier decision," he said, adding it was in line with the consensus reached with the Left allies in November last year. However, this did not go down well with the Left parties, with the CPI and the CPM-backed trade union CITU coming out strongly in opposing it. The CPI said the decision was against the national common minimum programme (NCMP) and the Left parties and trade unions would launch action against this move. Post-divestment, the government equity in Nalco would come down to 77.15 per cent from 87.15 per cent at present. In NLC, government stake would decline to 83.56 per cent from the present 93.56 per cent. Both offers for sale would be made through book-building process and the price would be decided in consultations with the lead managers, he said. Based on the current price, sale of 10 per cent in Nalco would fetch the government about Rs 1,400 crore and another Rs 1,100 crore from 10 per cent equity sale in NLC. A year after signing of MoU with South Korean steel maker Posco, the Orissa Government has assured the company of about 1,135 acres of objection-free government land for its proposed 12 million tonne steel project near Paradip. The Jagatsinghpur District Magistrate has sanctioned 1,135 acres of government land in favour of the state-owned Infrastructure Development Corporation of Orissa Ltd (IDCO). A demand note detailing volume of payment is being sent to Posco-India today, IDCO Managing Director Ashok Meena said. 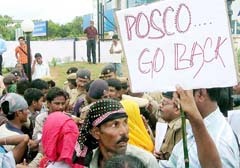 Posco would require around 4,000 acres of land for its project of which 3,500 acres of land belonged to the state government. However, the 1,135 acres of land is litigation- free, he said. Once Posco-India made the payment to IDCO, a lease agreement would be signed between the two organisations, Mr Meena said adding that the process would be completed within 10 days. He said the state government had received over 6,000 objection letters from local people on the government-owned land available near the project site. Yesterday, Chief Minister Naveen Patnaik had reviewed the progress of the project and asked concerned departments to expedite procedures for the Posco project. The Posco project is the biggest foreign direct investment (FDI) in the country and "We shall do our best to facilitate the completion of project in time", Mr Patnaik assured. The Union Government has rendered necessary support to the project. Various infrastructure development projects such as railway had been committed by them, Mr Patnaik said. Meanwhile, the state government appointed a special nodal officer to expedite the necessary procedures and clearances for the controversy-ridden 12 million tonne steel project. The state government has decided to appoint two rehabilitation and resettlement officers, one zone and one nodal officer to oversee the project, state Steel and Mines Secretary L.N. Gupta said after the review meeting. Posco, which has incorporated Posco-India Private Limited in August 2005, proposed to invest around Rs 52,000 crore for the Greenfield steel project and other infrastructural projects. Despite alluring announcements on employment generation and benefits to be accrued by the state government as well as the Centre, the project had been facing tough resistance on the ground of land. Villagers have blocked major routes to the project site and locked revenue inspector's office, which was to execute land related orders from state government. The IAF has stymied a proposal to build a new airport at Pune on the grounds that its proposed flight path would interfere with defence flights. The Maharashtra Government was keen on developing Chakan airport as a civilian facility following Pune’s burgeoning growth as an IT and educational destination. Chakan airport was to be developed by the Maharashtra Industrial Development Corporation and the Airports Authority of India. 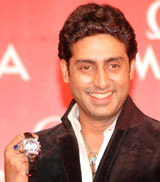 Pune’s MP Suresh Kalmadi and several senior ministers in the Vilasrao Deshmukh are among those still pursuing the matter. Mr Kalmadi, who has not given up hope, has lined up a few aviation experts to meet top defence officials in the next few weeks. Meanwhile, the state government is also looking at another site, Rajgurunagar, for the proposed airport. However, senior leaders like NCP strongman Sharad Pawar are wary of this site since two villages would have to be relocated. Farmers in this region fought pitched battles with the police to protest land acquisition for IT projects earlier this year. Till the new airport comes up, the state government is putting pressure on the IAF to expand operations at Lohegaon to accommodate more civilian flights. Top executives of IT companies have for long complained about the congestion above Pune since much of the landing slots at Lohegaon are reserved for IAF flights. Mr Kalmadi, who is pitching for international flights to land at Pune, is keen on extending Lohegaon’s runway from the current 8,300 feet to 10,500 feet. The airport will get a new instrument landing system (ILS) worth Rs 50 crore in the next nine months, according to sources. "The proposals of the ad hoc Group of Experts on Empowerment headed by Arjun Sengupta has been referred to the Group of Ministers," Finance Minister P Chidambaram said after a meeting of the Cabinet. Last year, the government had accepted the proposals of the group on financial autonomy to the profit-making PSEs. On functional autonomy, the Department of Public Enterprises had moved a Cabinet note incorporating the radical suggestions of the ad hoc group. The note was discussed at today's Cabinet meeting, but because of the nature of proposals, the matter was referred to the GoM. The Arjun Sengupta-headed group had recommended bringing down the powers of the adminisrative ministries to meddle in the day- to-day affairs of a PSE. The group had also recommended that the supplementary audit by the Comptroller and Auditor General of India of the PSEs should be an exception rather than rule, as it delays the publishing of audited accounts as required by SEBI. It had also suggested that only malafide intentional mistakes and frauds should be part of audit observation. Mittal has to "sweeten its offer for Arcelor and further improve its corporate governance,'' Mr Alain William, an ING analyst in Paris, said. To repel Rotterdam-based Mittal, Arcelor is asking shareholders to accept a combination with OAO Severstal, the Russian steelmaker owned by billionaire Alexei Mordashov. Arcelor's Board will meet for the second time in five days this weekend to contemplate the two offers. The RBI (Amendment) Bill, 2006, passed by Parliament and signed by President A.P.J. Abdul Kalam has now been notified in the gazette, the Law and Justice Ministry said. The enactment also empowers India’s central bank to set policy directions for agencies handling contracts in respect of government securities, money-market instruments and derivatives, the announcement said. The Act enables the RBI ‘’ to lay down policy directions to any agency dealing in various kinds of contracts in respect of government securities, money-market instruments and derivatives and inspect such agencies,’’ it said. The Finnish company said today that it would pull out of CDMA (Code Division Multiple Access) phone manufacturing, which it saw as a shrinking market in the longer term, though it would continue to offer to sell Nokia re-branded CDMA phones produced by contract manufacturers in the North American market, where the standard was popular. CDMA was the less popular wireless telephony technology, used by around 25 to 30 per cent of all mobile phone subscribers, and competed with the GSM standard used by around 70 per cent of the world’s 2 billion wireless subscribers. "This R&D facility, which is being developed along with the winery will be functional by January 2007", SIL President M.S. Dhanota said here today. "Our company, which began operations in January this year under the brand name Leh Berry has a sizeable presence in the fruit nectar segment of the packaged-juice market". "By the end of this year we are targeting to capture 10 per cent of the Rs 300 crore nectar segment, which has other players like Tropicana and Real (Dabur)," Mr Dhanota said during the launch of Leh Berry fruit nectar in Gujarat. At present the total juice market in India is about Rs 800 crore, which comprises of three large segments — fruit drinks, fruit nectar and 100 per cent fruit juices, he said. "By Septmeber this year we will be launching a product in the 100 per cent fruit juice category and will also be introducing a fruit drink, which will take on the likes of Frooti and similar products in the segment", he added. A high-level delegation of the company headed by its Managing Director, Mr Antoine Dectrie, met Mr Virbhadra Singh, Chief Minister, in this connection here today . Mr Dectrie informed the Chief Minister that his company had pioneered hydel projects in Austria, Brazil, France and other countries. He assured that the company would safeguard the interests of the state and its people and provide maximum employment to locals. It would also participate in local developmental programmes. The company was in a position to provide trained and experienced manpower for the execution of hydel projects in the state. The Chief Minister said his government would welcome global companies that could execute hydel projects in the hill state with ecological safeguards since environment protection had been a major concern. Standard gold (99.5 purity) and pure gold (99.9 purity) opened high at Rs 8,840 and Rs 8,890 per 10 gm, respectively. Both yellow metals closed at Rs 8,845 for standard mint gold and for pure gold at Rs 8,900 per 10 gm. Both prices shot up by Rs 240 for standard mint gold and for pure gold by Rs 245 from their yesterday’s closings.